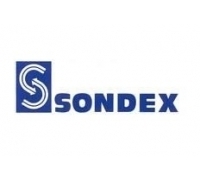 Our range of Sondex heat exchangers are available in sizes up to 200kW from stock, with larger exchangers and gasketed versions also available upon request. Our Sondex brazed plate heat exchangers consist of thin, acid-resistant plates, precision stamped and assembled as a unit with each alternate plate being rotated 180°. The plate pack, assembled with two end plates and connections, is vacuum brazed at extremely high temperatures providing a permanently sealed exchanger. The final result is a strong and compact plate heat exchanger with extremely high heat transmissions. The high heat transmission comes from the main pattern which is designed to create a turbulent flow. For more information, please take a look at our datasheets or call Head Office on 01543 502896.